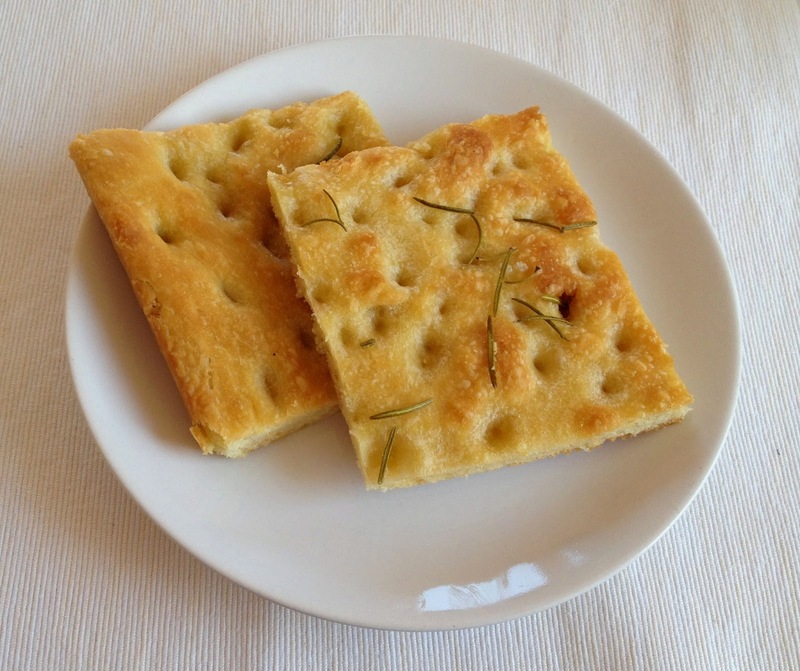 Focaccia is a wonderful, classic Italian bread eaten for breakfast and as snack. 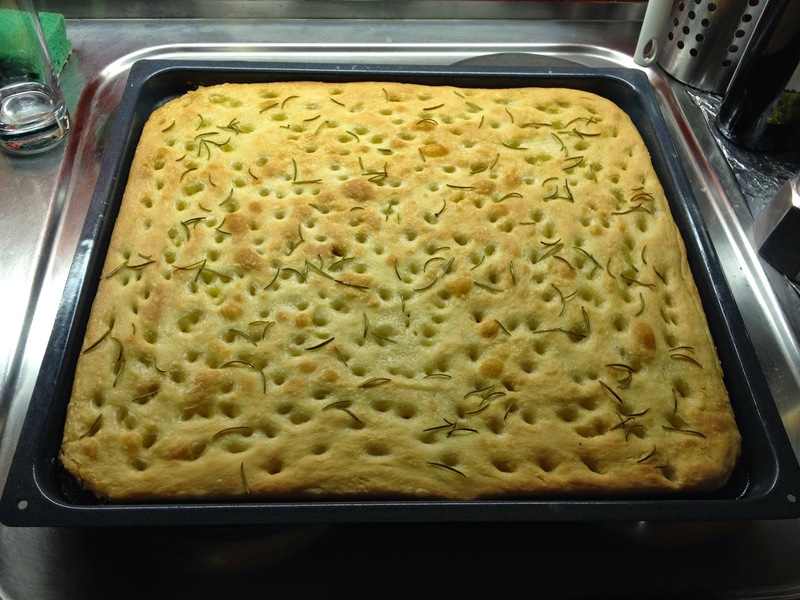 It's moist and chewy, flavored with olive oil and rosemary, smells great and tastes even better. And the big sea salt adds a crunchy side to it that I love. 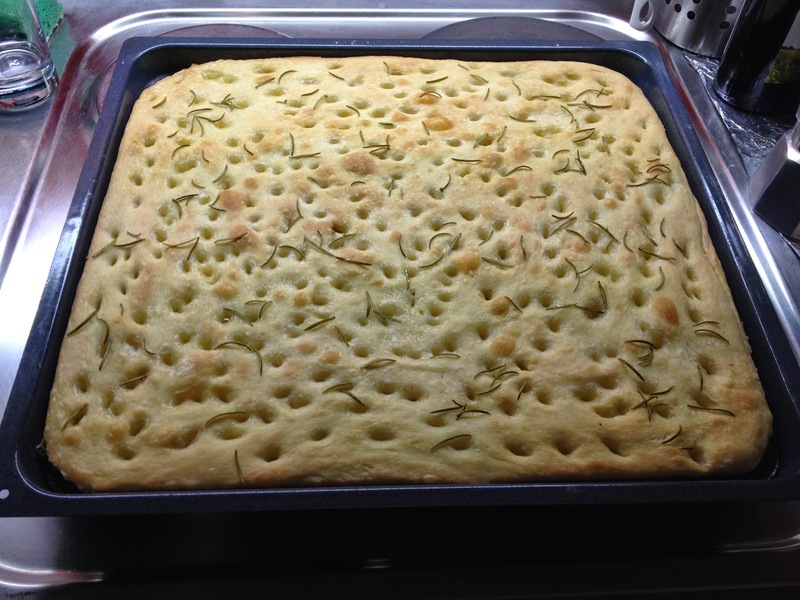 Focaccia is very easy to make but takes a lot of timing because of all the leavening times. But be patient it's worth it. Try it for yourself! In a big bowl dissolve the yeast with some tepid water. 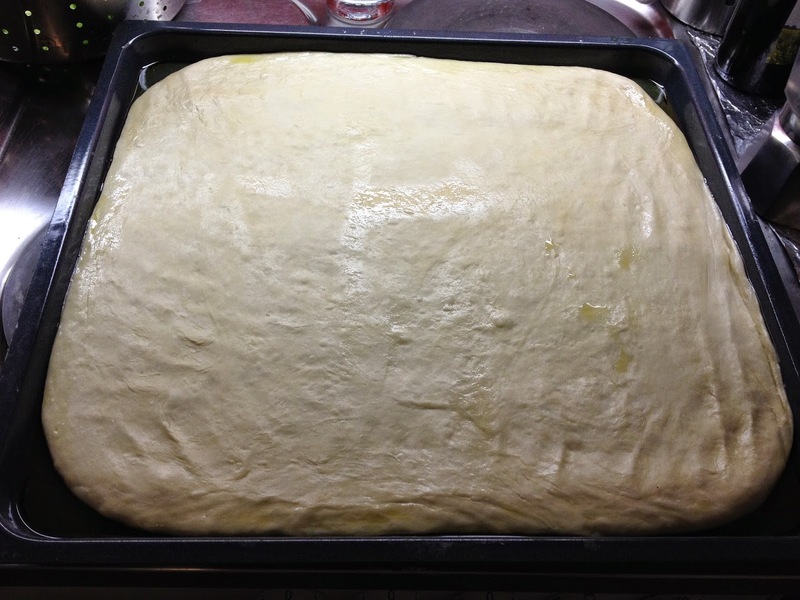 Add the remaining water, olive oil, salt, sugar, and almost all flour. 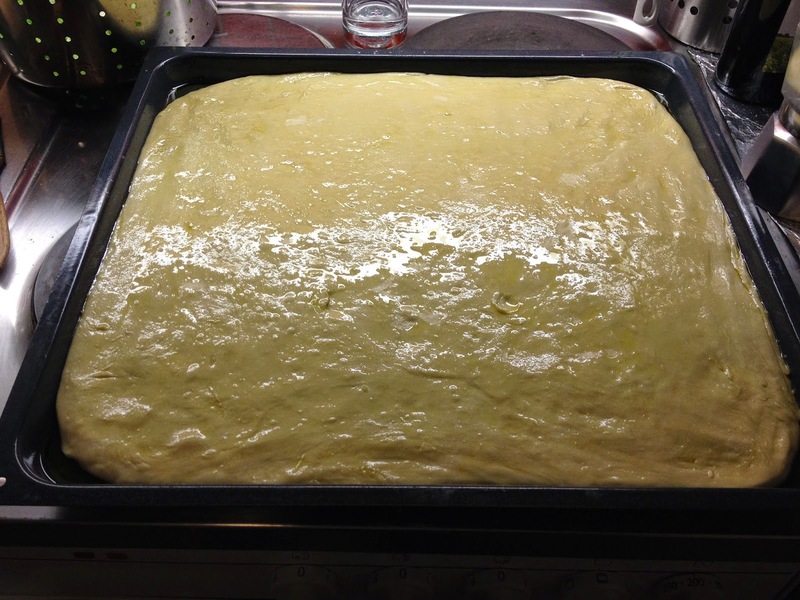 Mix with a wooden spoon and finally work it on a floured table until obtaining a soft dough. Let it leaven for 30 min under a cloth. 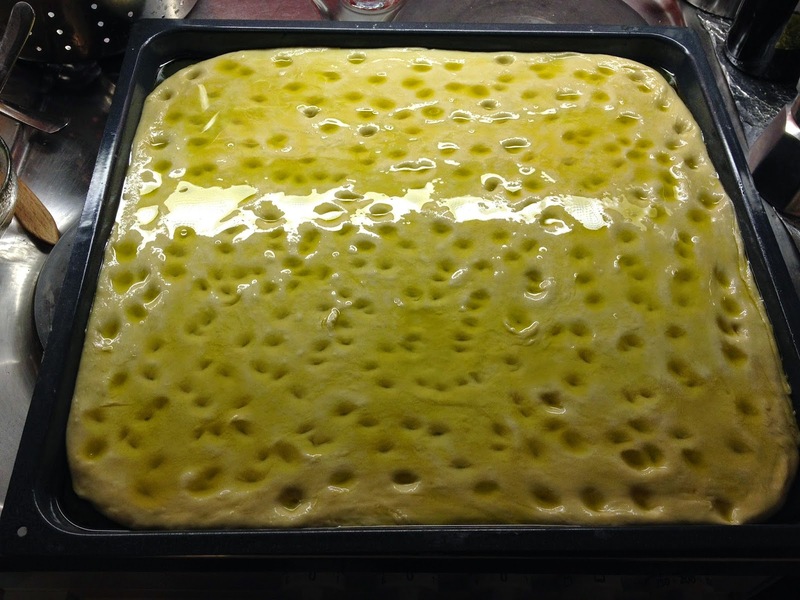 Cover an oven plate with olive oil transfer the dough there and flatten it with your hands and with a rolling pin, gently so as not to break up air bubbles too much. 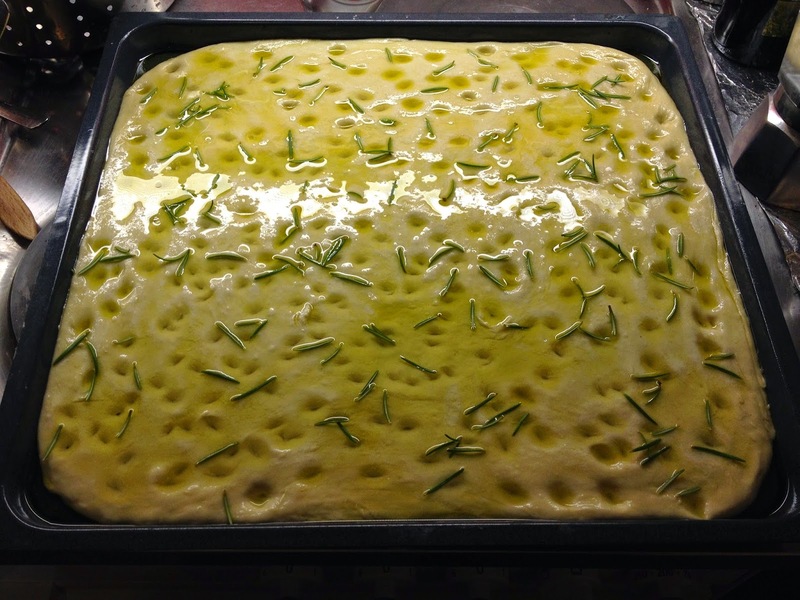 Pain the surface with some olive oil and let it leaven for another hour under cloth. Mix oil, water and salt in a bowl making an emulsion. Make deep holes in the dough with your fingers and cover the dough with your oil emulsion (all of it), the holes should be full of oil now. 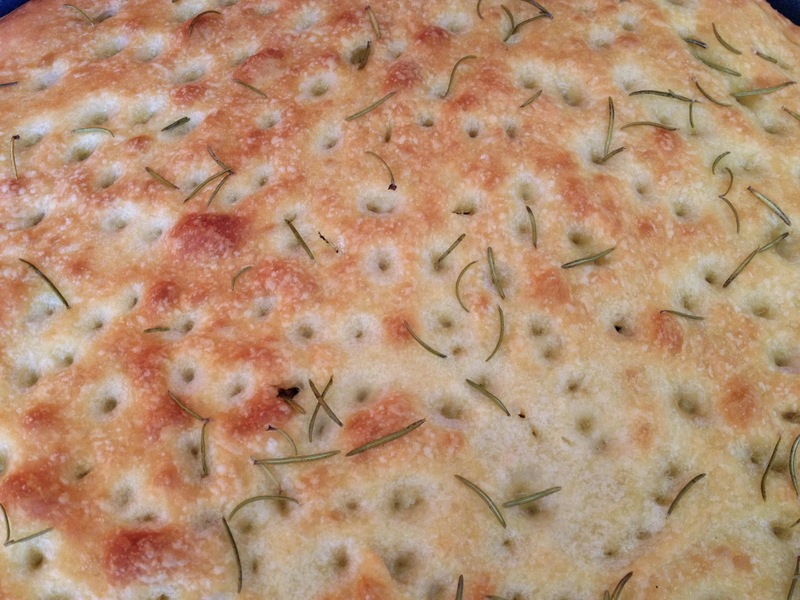 Sprinkle some rosemary on top and let it sit for another 20 min. Bake in the oven approx. 20 min at 200 C until golden. Enjoy it warm right away or cold for a later snack!